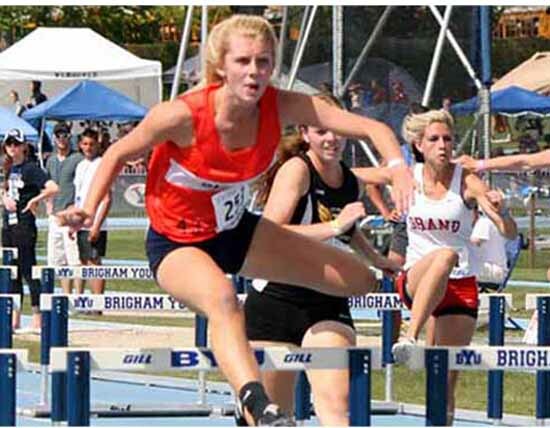 Hurdler Alyssa Hirschi of the Brighton High track and field team led wire to wire in voting for the Week 24 Preps Utah player of the week award. Hirschi captured nearly 75 percent of the votes for the week of March 30, 2015, as slightly more than than 500 votes were received. The runaway win came against four other top track and field performers, as Maple Mountain’s Britney Lund was a distant second with just over 10 percent, while Chrissy Glasmann of Park City, Weber’s Mckayla Thomas and Amarissa Hawker from Herriman split the remaining votes. Hirschi, who finished third in the 100-meter hurdles at the 2014 5A state track and field championships, is one of the Top 5 100-meter hurdlers in the state so far this year. 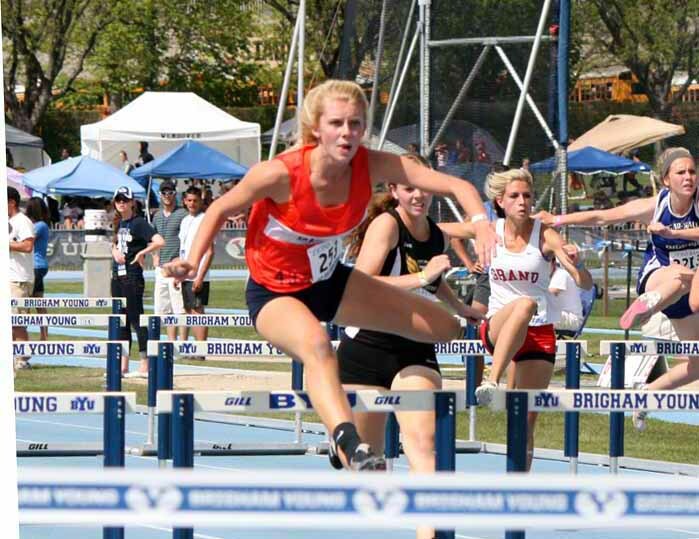 She also has the second best time thus far in the 300-meter hurdles. The senior is looking to cap a strong final year in high school which included being part of the Bengals’ state championship basketball team. She averaged eight points per game on the hardwood and had eight points with 10 rebounds in the state title game against Fremont..
Five of the state’s top baseball players are up for consideration this week, seeking readers’ votes as the Preps Utah player of the week. The candidates are Layton’s Braden Collingwood, Gage Manzione of Stansbury, Orem’s Paxton Schultz, Sean Keating from Bingham and Payton Henry of Pleasant Grove.